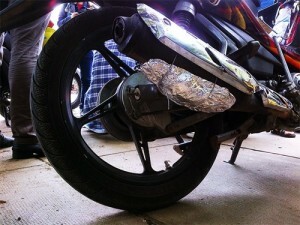 Home » Travel tips » BIKE MADE GRILL AKA EXHAUST GRILL MEAT, WHY NOT? It’s tasty… it’s light…it’s fun… and it gives you an interesting experience along your journey on bike. It’s simply a grill meat cooked by motorbike exhaust…. Strange, right? But this is the most famous dish among Vietnamese backpackers. 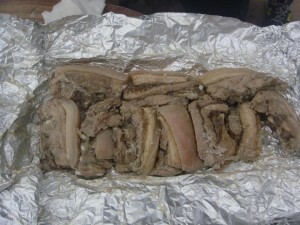 The dish is named by the backpackers based on the way it is cooked. 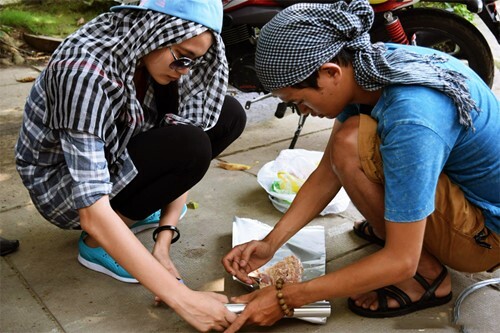 They simply wrap spiced chicken, pork or beef in foil and tie it to their motorbikes’ exhaust pipes. While they are driving the heat from the pipe will cook the meat. Experienced backpackers suggest that you should choose popular motorbikes from Honda or Yamaha….They are easy to drive and repair. But the most important reason, according to the backpackers, is that they help you to make the special dish. And how to prepare it? 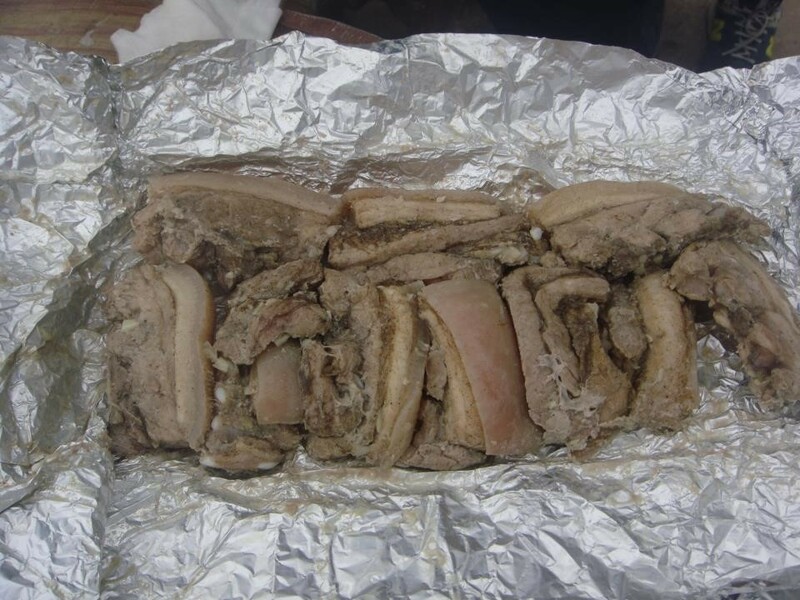 You should buy beef, chicken or pork and cut it into slices. Add rub into the slices with onion, garlic, salt, pepper and a little rice wine then wrap them by silver papers and tie to the exhaust pipes, bring some cucumbers, tomatoes and bread if you like. While you are driving, the slices will be gradually cooked, giving out an enticing smell. 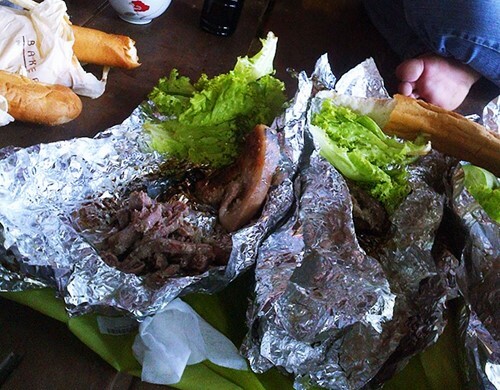 After 60-100 kilometers you can stop to relax and enjoy this special meal. 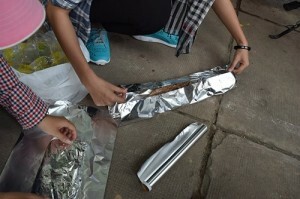 This new way of cooking meat when traveling never fails to attract the curiosity of backpackers due to its unique flavor.